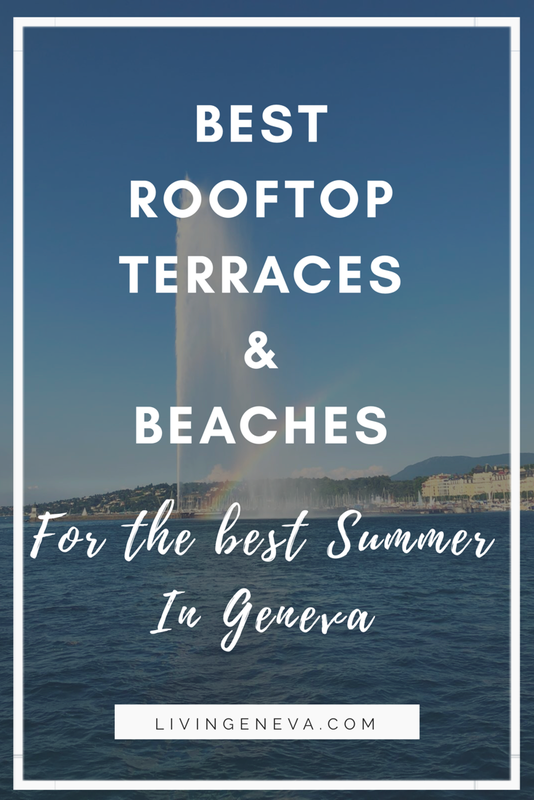 Not always easy to find the best rooftops in Geneva or the best terraces to have a lunch… I got you covered now! I been wanting to hit publish on this article so many times… but finally it is here! Geneva is amazing during Summer, there are so many terraces popping up everywhere, beaches to discover and rooftops open their doors to admire city views! 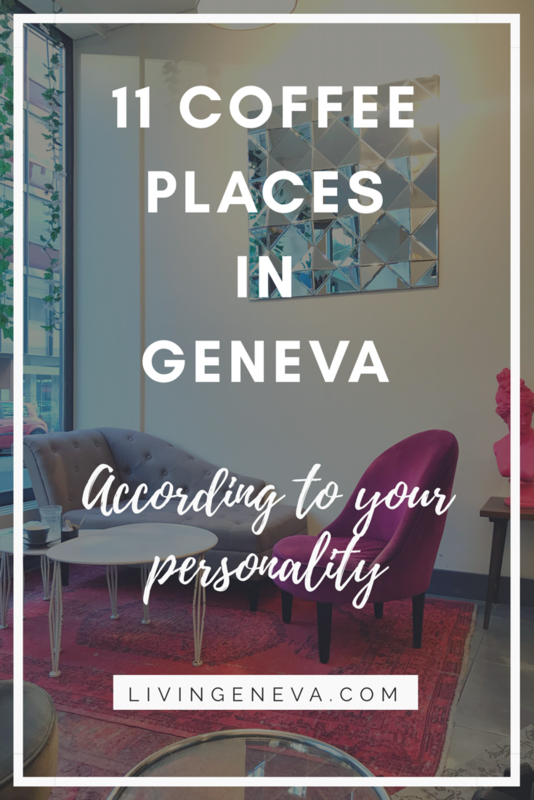 Here are my top spots for Summer in Geneva! Insens Restaurant – A secret overlooking terrace with vegan gluten free food! Located at the 5th floor of the Spa. Voising 105 – A working space by day and an amazing rooftop by night. In an industrial neighborhood it is such a cool place to see the sunset on the Saleve. Manora – Yes, very surprisingly at the top of Manor you have a restaurant self service with a huge terrace overlooking Geneva… not as glam as Izumi, but hey the view is nice! Umami – Delicious Japanese restaurant by Chef Michel Roth. I could go there every single day for lunch and dinner! 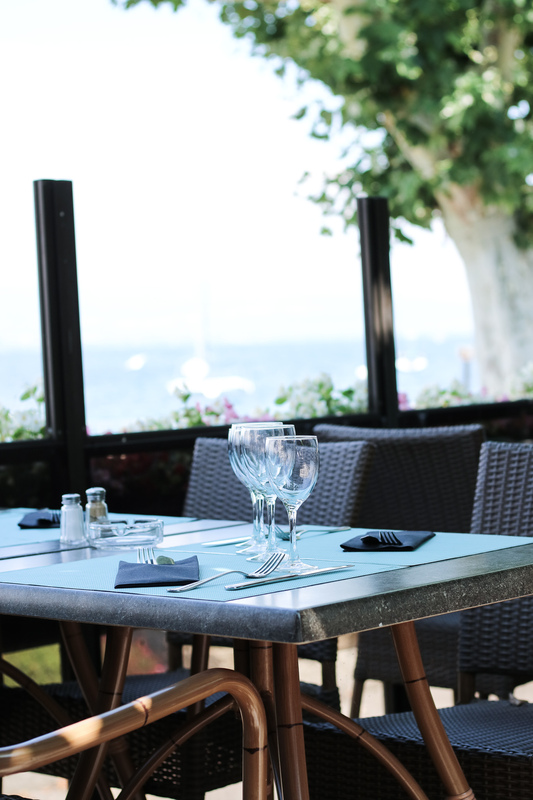 La Terrasse du Beau-Rivage – A continuation of the Chat-Botté during Summer you can be out in the terrace. Also during the day & weekends you have an adapted menu served there. Psst they have an amazing cookie dessert. La Terrasse – A bar located by the lake, with a relaxed vibe. Make sure to get there early, it fills up super fast! Buvette des Bain des Pâquis – This place is amazing! Chilled vibe, dipping your feet in the water you grab a 14CHF lunch and enjoy the sun. Il Vero – The Italian restaurant of the Kempinski Hotel in Geneva has one of the best terraces in the city. located on the second floor you have both the stunning view and the great food. Cottage Café – A tiny Cottage located in the middle of a park with lake view is exactly what you need after a long day of work. Great breakfast too! Perle du Lac- An institution by now, this place is great to have a drink on a Saturday or a fancy dinner in the evening. Le Reposoir– Further than Geneva center. This place is like an actual holidaaayz. Perches du lac, good beer and nice view… what else could you ask for? La Réserve Genève – Located by the shore, this place is paradise not far away from the city. They have several outlets so there is plenty to choose from. Shima– At Île Rousseau is the little brother of the Izumi at the Four Seasons Hotel. Serving delicious Japanese food to take away they are good to go! 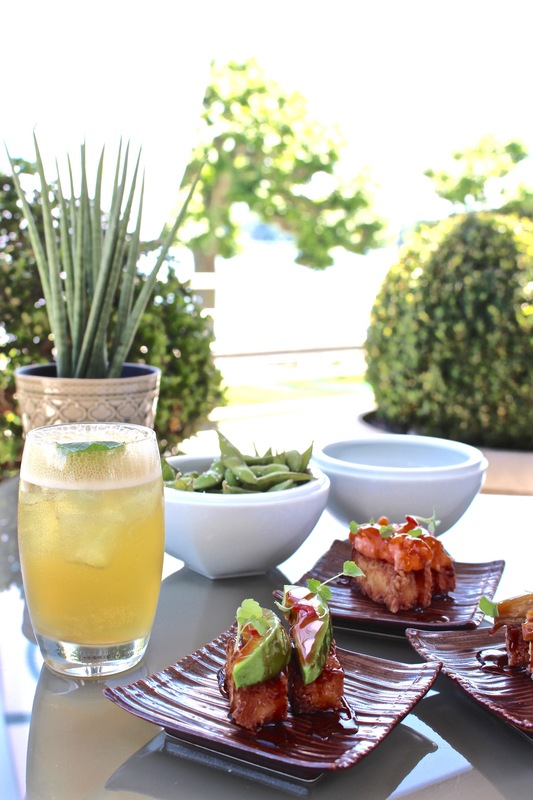 Bateau Lavoir – A nice plate to have lunch, dinner or an afterwork drink. It is run as an association to help young people get back into a working environment. La Barje- Located in front of Batiment des Forces Motrices La Barje is a laid-back place to enjoy a local beer or a home made ice-tea by the Rhone… I love this kind of places! Brasseries Halle de L’île – This place might not look like it has a terrace, but at the back of the restaurant they have a couple of tables on the side of the Rhone with a view over the Mandarin Oriental. Peaceful! Nico & Co – A bar located by the lake with some high tables and chairs. The favorite afterwork for many of the finance people in Geneva! Make sure to reserve or get there early, it fills up super fast! Riverside Café – Somehow there is always people in this terrace! So lively! They serve cocktails and warm drinks all day long! Bistrot 23 ou Bulles du 23 – This Bistrot has a lovely view over the “Batiment des Forces Motrices” I really like the location and food servings in this place. Also they have a champagne bar that is great! Restaurant du Parc des Eaux-Vives – When I walk by this Restaurant/ Hotel I day dream about living there.. and imagine the people that used to live here walking up with this view. Great restaurant for a beautiful view over the lake and also an amazing brunch on Sundays. La Potiniere – Probably one of the top locations in Geneva. Lake view, affordable drinks and also some shade! They also have a great brunch on Sundays. Bateau Genève– A historical boat that is anchored at Quai Gustave-Ador and serves as a bar/restaurant. They have a nice selection of cold cuts, cheese and mixed tapas plates. The view at the Jet d’eau is unbeatable! L’Escale (2018) – For season 2018 the city of Geneva set-up some hammocks, tables and a place to buy some drinks and savoury food to enjoy the lake side. Tropical Corner- A favourite year after year! This places has like a surfer vibe. People that like to do paddle or wake board go here to take courses or rent material. They have a bar too where you can drink something by the lake. La Belotte – A restaurant with a fantastic view. It is know for its Filets des Perches (a local fish from the lake)! Personal note: Last time we went there the service was super slow, that is why I did not share it on my instagram, but still the place is nice. Les Voiles – This place has a complete different vibe, I call it the “St. Tropez” people. I love the location and the views of this place. However, I am not a big fan of the crowd & ambiance there, it can feel like show-off snob kind of way. A good tip is to go on Sundays, the vibe is much better and there is less people. Le Petit Lac (Corsier) – You might need your car for this one. A cute restaurant with a big terrace by the lake is what you will find. Family friendly and serving great food! Le Floris- A gastronomical restaurant by Chef Claude Legras not only offers amazing food but also breathtaking views of Geneva from their beautiful terrace. No Lake view, but still great terraces! 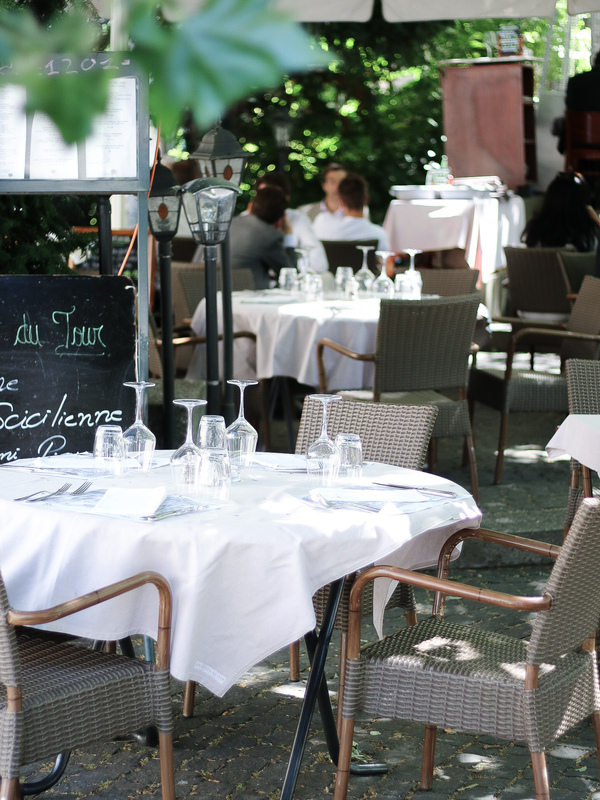 Café Papon – A restaurant with an amazing terrace overlooking Parc des Bastions! One of my favourite during Summer nights! Theatre de l’orangerie – A hidden terrace at Parc La Grange! I love this place since day 1 I stepped there. chilled and with vegan friendly food. Cafe des Philosophes- A great place for lunch, dinner or apero time. Their terrace is quite cosy during Summer hidden between buildings. I like that it is not by a road. Café du Soleil – Know more as “the best fondue in Geneva” Café du Soleil also has a very cute terrace with some lightbulbs and greens around! I thought it was important to mention a place were you can eat fondue outside … you never know when the crave comes! Salles Gosses – A new concept located in Stand. Perfect for afterwork drinks in an alternative terrace! Urban Beach Club (Kempinski Hotel) – A Beach Club inside a hotel? Yes! That is possible in Geneva and only at the Kempinski. The other day I spent a full morning at the Spa and then a fantastic lunch with their poke bowls and fresh juices! A must do in Geneva. Cafe Gruttli – A typical address in Geneva for the movie lovers since it is also a cinema. Serving daily delicious meals and always veggie options! Glacier Remor – Another institution in Geneva. This Coffe/ restaurant and ice-cream parlour is one of my go-to restaurant all year long. Simple, yummy and with a nice vibe! Cafe Lyrique – I havent been there in a while, but it is a lovely terrace with lots of green surrounding it. Next to the Grand Theatre is a great option if you are in the city center and not sure where to go. L’addresse – A secret terrace at the Eaux-Vives it is a great place for eating/shopping since they have a great selection of brands at the boutique that is next to it. The access it though a red staircase. Na Village – An alternative place to your typical Thaï. Na Village is like an oasis in the city, it is a garden with tables where you can enjoy dinner or lunch. Have you been there? Best Beaches and were to enjoy the lake in Geneva! By the Rhone – For true Geneva people, this place is a little paradise. Best to go there by bike and enjoy the turquoise water of the river. Parc de la Nymphe– A cute little beach with grass and very private. Geneve Plage – A public place with a pool and some other activities. There is a fee to enter. Plage de la Savonniere – A big park by the lake with a stunning view and BBQ stands to grill your meat! I know very bad the right bank of the lake regarding beaches and places to swim! If you have some recos I am happy to read them in the comments! 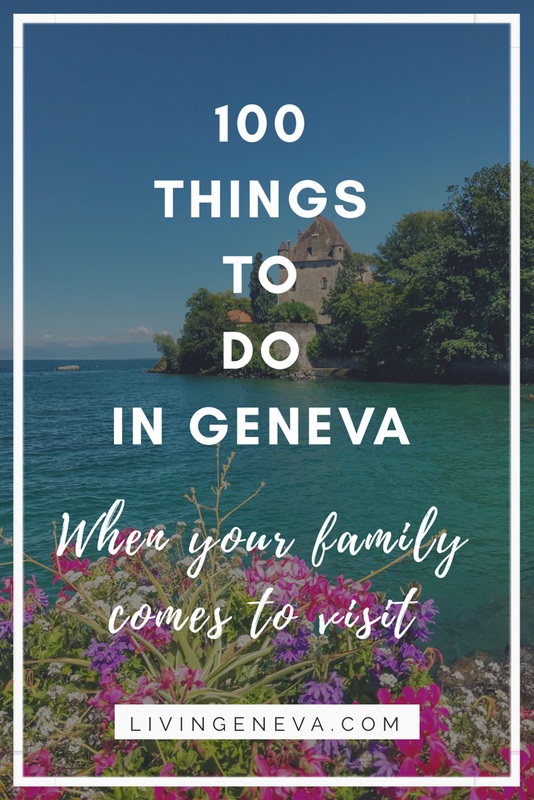 One of the most useful lists I have seen in Geneva on where to Swim is with Inspiration for Travellers! Check it here! I hope you liked the list! There are probably tons I havent tried or are missing. Comment below if I should any any! Which one is you favourite terrace in Geneva? See you soon on the blog! !